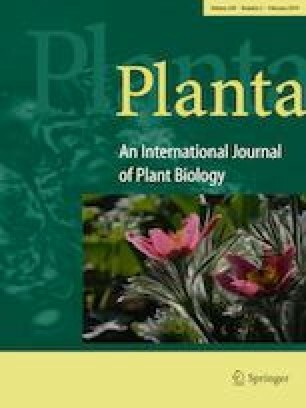 This study systematically identifies plant SYF2/NTC31/p29 genes from 62 plant species by a combinatory bioinformatics approach, revealing the importance of this gene family in phylogenetics, duplication, transcriptional, and post-transcriptional regulation. Alternative splicing is a post-transcriptional regulatory mechanism, which is critical for plant development and stress responses. The entire process is strictly attenuated by a complex of splicing-related proteins, designated splicing factors. Human p29, also referred to as synthetic lethal with cdc forty 2 (SYF2) or the NineTeen complex 31 (NTC31), is a core protein found in the NTC complex of humans and yeast. This splicing factor participates in a variety of biological processes, including DNA damage repair, control of the cell cycle, splicing, and tumorigenesis. However, its function in plants has been seldom reported. Thus, we have systematically identified 89 putative plant SYF2s from 62 plant species among the deposited entries in the Phytozome database. The phylogenetic relationships and evolutionary history among these plant SYF2s were carefully examined. The results revealed that plant SYF2s exhibited distinct patterns regarding their gene structure, promoter sequences, and expression levels, suggesting their functional diversity in response to developmental cues or stress treatments. Although local duplication events, such as tandem duplication and retrotransposition, were found among several plant species, most of the plant species contained only one copy of SYF2, suggesting the existence of additional mechanisms to confer duplication resistance. Further investigation using the model dicot and monocot representatives Arabidopsis and rice SYF2s indicated that the splicing pattern and resulting protein isoforms might play an alternative role in the functional diversity. Yuan Tian, Mo-Xian Chen and Jing-Fang Yang contributed equally to this work. The online version of this article ( https://doi.org/10.1007/s00425-018-3026-3) contains supplementary material, which is available to authorized users. This work was supported by the Natural Science Foundation of Guangdong Province (2018A030313030), Natural Science Foundation of Shandong Province (BS2015NY002), Funds of Shandong “Double Top” Program, the China Postdoctoral Science Foundation (2017M622801), Shenzhen Overseas Talents Innovation and Entrepreneurship Funding Scheme (The Peacock Scheme, KQTD201101) and Hong Kong Research Grant Council (AoE/M-05/12, AoE/M-403/16, GRF CUHK14160516, 14177617, 12100318).